My last post was all about the Barley and Scotch Bigg report of 1806 by Thomas, Coventry and Hope and evidence for the link between un-aerated steeps and long germination times, and while I highly recommend reading the report, the type is faded in places and changing all those “f”‘s to “s’s can really slow you down. So here are some condensed notes that I gleaned from the sections on malting and brewing in point form. Drained and rinsed (if warm) to wash off slime. Temperature must be kept in check by turning. Suspected some maltsters to kiln up to just below boiling for some malts like brown. I believe a different sized gallon was used at this time which held 282 cubic inches (instead of 231) which would make the infusion 10.38 u.s. gallons which with 37.5 lbs per bushel of malt, makes the mash thickness 1.11 qt/lb. If the malt temperature was 45 F and the strike water 180F the mash temperature would be 159.5. Rather high, however, we’re dealing with a lot of averages here and I could be wrong about the gallon size. As well the strike water would have lost a few degrees when it was transferred to the mash tun. If the gallons back then are the same as today then our mash temperature would be 156F but our mash thickness would be .91 qt/lb. As you can see below there is quite a variance between brewers as the runnings are from 160 to 140F. Sparge water also 180 F pg 46. Cooled in large shallow square vessel only a few inches deep. Some temperature fluctuations observed during fermentation 44-71F , 55-82F (highest) 52-53F (lowest fluctuation). The beers in the table below have an average alcohol content of 10-11% a.b.v. 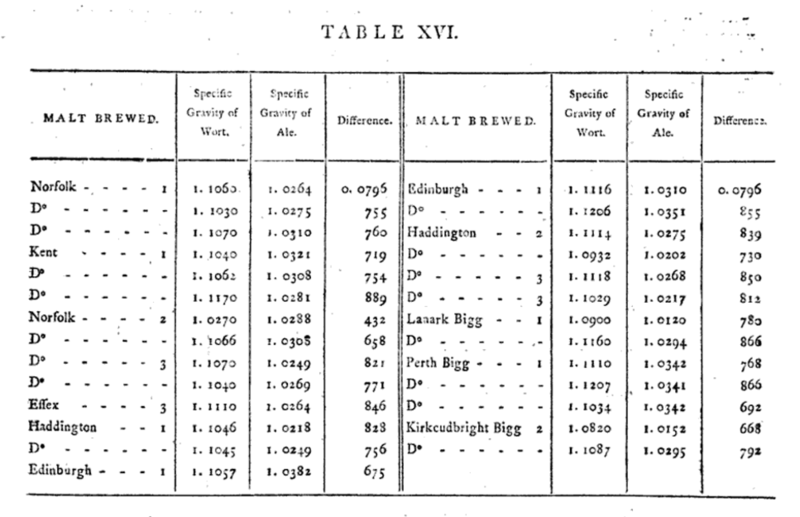 Table showing gravities of beers produced. I recently came across a significant study about brewing and malting that was written in 1806 and it is fascinating. It’s entitled: Report of the Experiments made, by the Direction of the Honourable Board of Excise in Scotland to ascertain the relative Qualities of Malt made from Barley and Scotch Bigg. You can read it here on page 9 (press “preview book”) I am not a beer historian but I believe this is one of the first large-scale surveys conducted for the brewing industry using scientific methods in England. In 1806 Thomas Thomson, along with authors Hope and Coventry conducted a series of experiments comparing the qualities of Barley to that of Scottish Bigg in order to reduce the tax on Bigg since it was thought to make a lower quality malt for brewing and distilling. 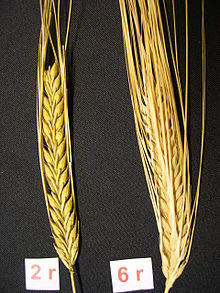 Bigg is another name for Bere or Bear, an old variety of six-row barley believed to have been introduced to Britain by the Vikings in the 8th or 9th century. It grows faster than barley so it can be sown later and harvested earlier and is ideal for climates with a short growing season. Their findings were published in a report presented to the House of Commons. They concluded that Bigg was 8-14% less productive than English Barley (depending on which author you asked) and proposed that the tax on Brigg should be reduced by one-third. Their survey was very comprehensive collecting the data from malting, brewing and distilling about 36,000 lbs. of English barley, 41,000 lbs. of Scottish barley and 55,500 lbs. of Scottish Bigg. This became a publication that would be referred to for years to come. You can find sections of the report quoted directly 40 years later in The Scottish Ale Brewer and Practical Maltster pg.208 by W.H. 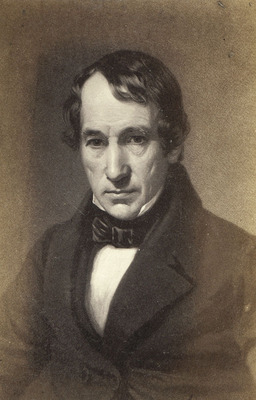 Roberts in 1846. By the way, it was Thomas Thomson who devised an accurate hydrometer for this study which was specific for brewing and distilling called the Allan’s Saccharometer. Of course what I found the most interesting is the section on malting. This is the earliest accurate written survey (in English) that I’m aware of with steep times, moisture content, germination temperature, kilning times and malt temperatures in actual malthouses. I must say the numbers are pretty surprising, like the 20 day germination times and the rather low kilning temperatures. By having this data we’re getting an insight into the brewing and malting methods of the time. For example, the practice described in the report for judging if barley has been steeped enough was to squeeze a grain end to end, if it was soft enough to be crushed then it was deemed to have enough moisture for germination. (This method is also described in the London and Country Brewer of 1736.) But the report also details the weight increase after steeping of each sample (pg 23) and using these numbers we can figure out the moisture contents which, low and behold, were the same ranges of moisture contents used today, 39%-46%. That’s a pretty good “rule of thumb”. We don’t know the initial moisture content of all the barley used in the report but one sample was dried out and according to the weights given had a moisture content of 12.5 %. This is the figure I used in the calculation since any barley that’s properly dried and meant to last in storage would have had a moisture content under 14% so it’s likely a good average number. I think I’ll try this method on my next batch of malt and compare it to my calculated moisture contents. On Germination: The times from when the barley was cast onto the floor from the steep tank to the time it was deemed ready ranged from 12 days to 20 for brewing. Shorter times of 8 and 10 days were for distillation. The average for brewing was 14 days for the good quality barley. As mentioned the growth of the acrospire described in the report and in other historical texts was much slower. On page 30 there is a description of acrospires usually reaching only half the length of the grain on days 7-9. It has been my experience that acrospires are at this length after 3-4 days, this makes sense given the extra 4 days required to chit. One way malt is judged to be modified is when the starch turns into a smooth chalky paste, which today happens on day 5-8 (for a pale malt) depending on temperature and barley variety. The same is true for traditional malt and usually occurs when the acrospire is 4/5ths the length of the grain. There is a good description of determining the modification of traditional malt in the 1854 Encyclopaedia Brittanica on Brewing pg 322 which describes the malt undergoing two stages of apparent modification, the “first free” occuring on day 9 – 10 where the grain will feel chalky. At this stage the malt will produce “tolerable” beer. Then the grain hardens once again for another few days until the acrospire has reached 4/5ths the length of the grain usually happening on day 14. It also mentions English germination times averaging 14 days at 62 F and in Scotland 16-20 days at 55 F.
Another highlight of this report are the kiln temperatures, but I’ll save that one for another post. Have fun reading these links and jumping down this rabbit hole!